We know people who have had safety issues when riding motorcycles and bikes. The stakes on the road are much higher when you are on a two wheels than on four. It is statistically more dangerous for people who decide to commute using a bike/scooter or a motorcycle instead of a four wheeler. We wanted to contribute our bit in making the world a safer place for those drivers/passengers and attempt to prevent thousands of deaths each year. 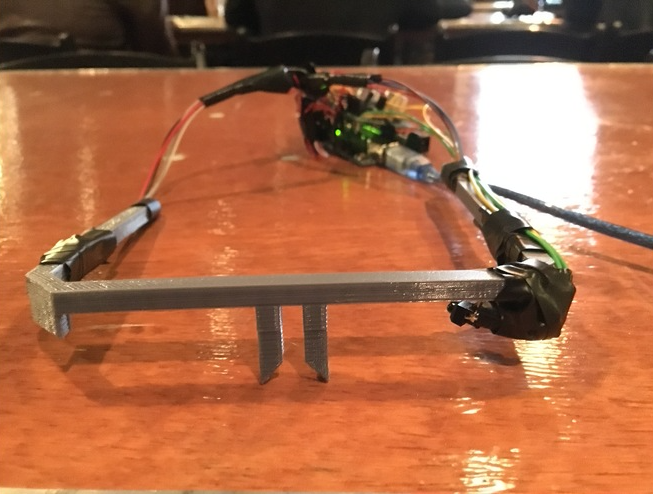 We 3-D printed parts such as the glass frame and the wearable dashboard enclosing. Sleep detection was achieved through an infrared LED and a receiver. The SONAR blind spot detection was done via a SONAR sensor constantly sending pings. The SONAR sensor has a range of 1 centimeters to 5 meters. The trauma and crash detection is handled by a gyroscope that communicates with our backend that messages immediate relatives in case of an emergency. 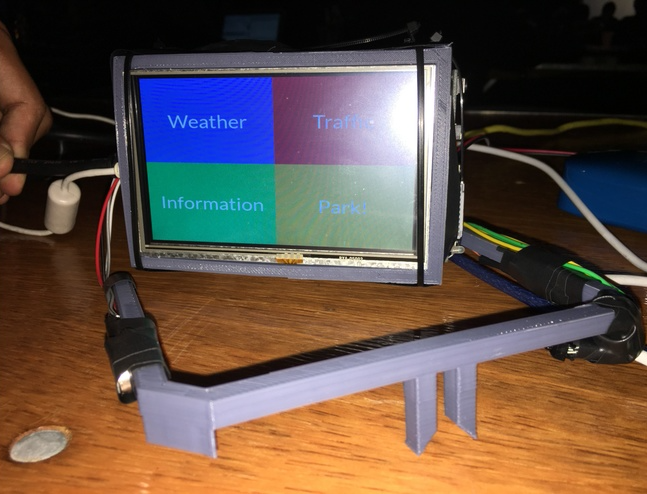 The wearable dashboard was built with Raspberry Pi and a touchscreen. We used a Node.js backend with iceweasel helping us with our front-end. 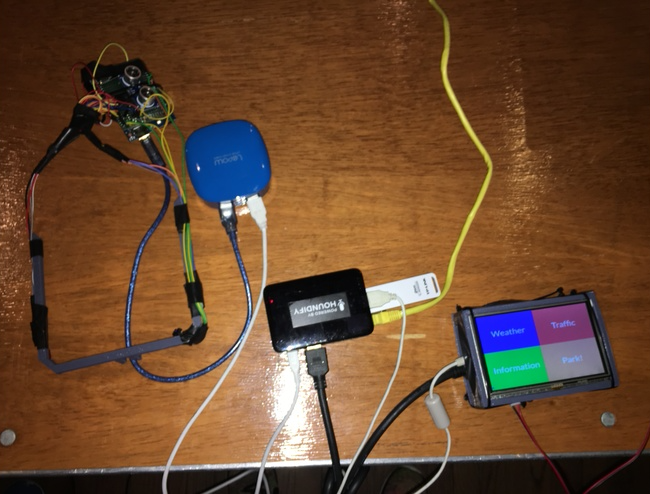 In addition, we built an iOS application to gather the user's location which communicated with our Node.js backend. 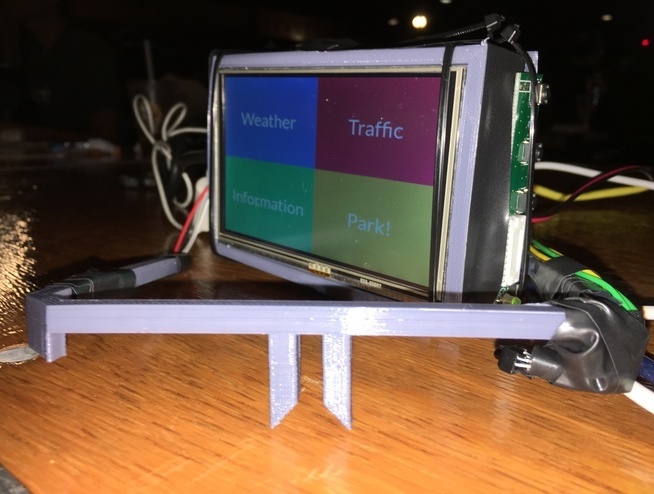 Our project was deployed on Heroku and our Raspberry Pi used Flask on the backend. Creating something useful that could potentially save multiple lives and keeping people safe is a huge honor. We think Aldra is just a start and has a long journey ahead. It has the potential to save a large number of lives and provide riders with convenience, all at a fraction of the cost of current market competitors.